← All my dogs are leaving home – just a little doggerel! This is all edges and unfinished surfaces – a quick and dirty poem in response the the prompt at dVerse set by Victoria C Slotto. The tickle of water, receding. a little more is bared. Grains settle between cold toes. 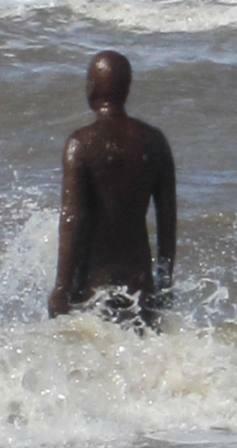 The sculptures I have chosen as inspiration are on the beach at Crosby, Liverpool – Another Place by Antony Gormley. 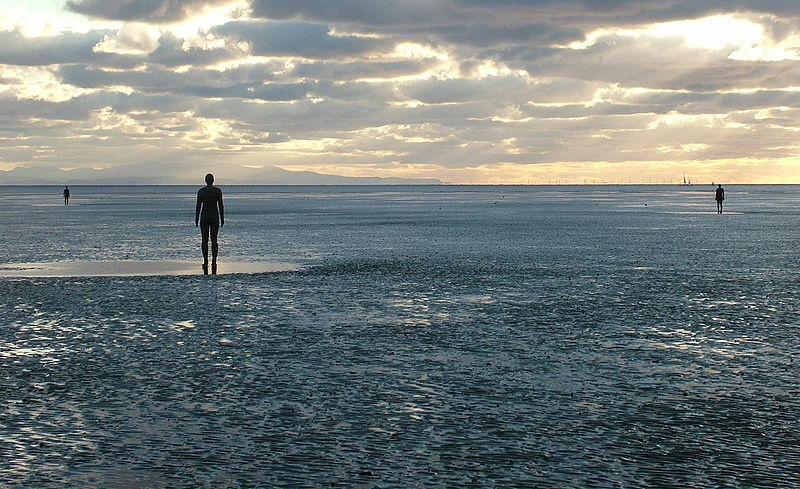 This entry was posted in Antony Gormley, artists, Dversepoetry, poet, poetry, sculpture, sea, Uncategorized, writer, writing and tagged Another Place, Antony Gormley, Art, Arts, one stop poetry, Online Writing, poet, poetry, poetry. writer, Sculpture, Victoria C Slotto, writer. Bookmark the permalink. I really enjoyed this, especially the way you begin to integrate statue and sea, so that they become fused in a very real, subtle way. I love this! I’ve never heard of this sculpture, it must be something to behold. Your descriptions are so well done. Thank you for introducing me to those sculptures! Really cool and I never heard of them before.